Are Alfonso Cuaron And Simon Pegg Involved With Star Wars? While nothing concrete has come out, the source who leaked word that there would be a new Star Wars trilogy not directed by George Lucas and that the trilogy would follow the next generation of Skywalkers now says that Alfonso Cuaron and Simon Pegg may have a place in the Star Wars galaxy. As with any unnamed source, I’m skeptical and will stay that way until something more official is heard. That being said, this is an extremely interesting possibility, and I hope that the source is right. Cuaron’s next film, Gravity, may be vastly different in tone and plot from what he’d be working with in any Star Wars films, but if Gravity lives up to the hype, it’ll show that he knows how to use CGI to recreate a realistic world in space. I don’t think Cuaron should take on Episode VIII or IX though. I think his skills and vision would be much better suited in one of the spin-off films, specifically the Boba Fett one. A dark world of bounty hunting and internal struggle, now that’s something that Fett fans could get on board with. The Pegg news isn’t nearly as exciting, however he would be a solid addition to the cast of any of the films. Pegg is certainly a quality Scotty, and few people would have many complaints with him following Abrams and joining the Star Wars universe, I just can’t think of any character he might play at this point. The source also provided a bit of plot information. While there’s no revolutionary new information included, the leak does confirm the spin-off films and the fact that the core trilogy will focus on the Skywalker offspring. The one part that stands out as different from what we’ve heard so far is a hint at the fact that a Han Solo spin-off film may not be coming in the imminent future. Check out that quote below. I believe they are very clued into what fans would and wouldn’t like, and considering Mr Ford himself may not be done with his character yet, I wouldn’t start picketing Lucasfilm about young Han Solo movies being made just yet. Which I was led to believe couldn’t be further from how they want to move forward creatively anyway. It definitely makes sense that if Ford is going to be reprising his role as Solo for the core trilogy, it would be a bit jarring to have another actor play the same character at the same time, even if it is in a different movie. But again, this is all coming from an anonymous source, so be sure to check back for some more concrete news, which we’ll report as it’s made available. 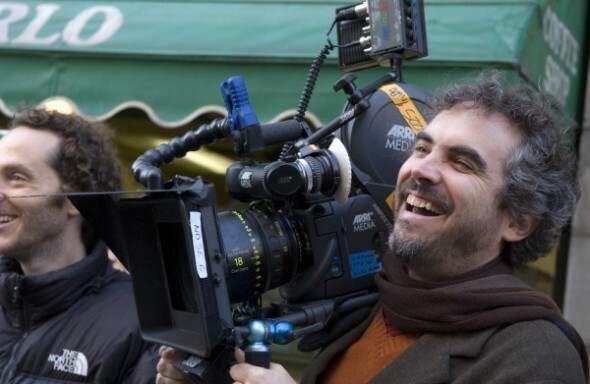 What do you think about the possibility of Cuaron joining Star Wars? What about Simon Pegg? Share your thoughts in the comments section below.